We can deliver to most local areas with Liverpool postcodes from only £4.95. We can usually guarantee same day delivery but a quick telephone call to us can confirm this. 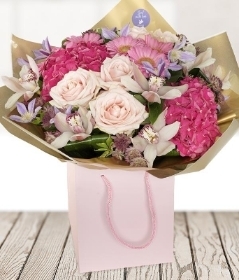 If on arrival at the recipients address the person is not at home then our delivery driver will endeavour to leave the flowers/gifts at an alternative neighbouring address leaving our calling card ~ with the address of where the flowers have been left and the time they were delivered ~ at the original delivery address. 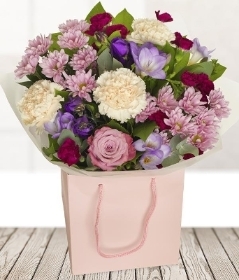 If our driver is unable to leave the flowers/gifts at an alternative address then they will be returned to our shop and our driver will leave our calling card with our contact details on with instructions for the recipient to contact us to arrange a convenient delivery time. There is no extra delivery cost should we need to re-deliver your gift! We also provide National and International deliveries using our EFlorist system which can be arranged over the phone. Same day delivery is also available before 1pm. 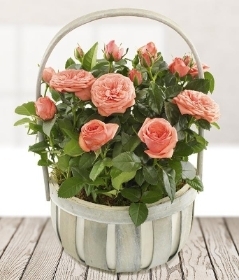 *All international orders require a telephone number for the recipient of the flowers. *Time differences taken into consideration.